A Window into the Ever Falling U-value – Back in the days of single glazing, U-value (Thermal Transmittance) and Solar Factor (G-value) weren’t necessarily at the forefront of consumer’s minds. It was all about preventing rain and wind entering our homes and trying to stop draughts. What is Thermal Transmittance & Solar Factor? To put it simply, Thermal Transmittance (U-value) is the amount of energy lost through a window, so the lower this number is on your Window Energy Rating, the better. Solar Factor (G-value) is the amount of energy gained through the windows from the Sun, so the higher the number, the better. Both thermal transmittance and solar factor are used along with the effective air leakage to calculate an Energy Index for the whole window, which is measured in kilowatts-hours per square metre per year. 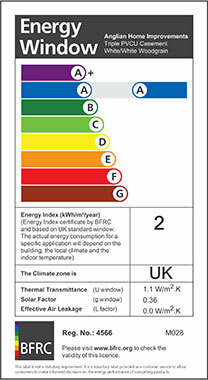 This is what is used to determine your Window Energy Rating (WER). Read more about WERs here. How have the ratings evolved with our changing needs? 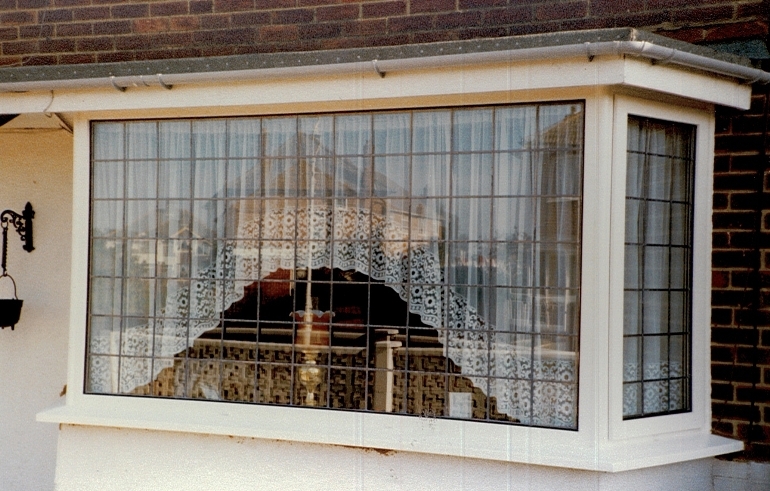 Single glazing was basic, there to serve for primitive reasons of preventing the elements entering our homes. Looking back and comparing to current standards the U values for single glazed windows were poor. All figures in this brief history relate to the performance of the sealed unit’s thermal transmittance and solar factor, not the whole window thermal transmittance and solar factor listed on the WER label. Single glazing had a U-value of just 5.8 W/m²K and a G-value of 0.87 W/m²K. It was great for embracing the sun’s warmth, but it just couldn’t retain it and this is where PVCU double glazing came in. 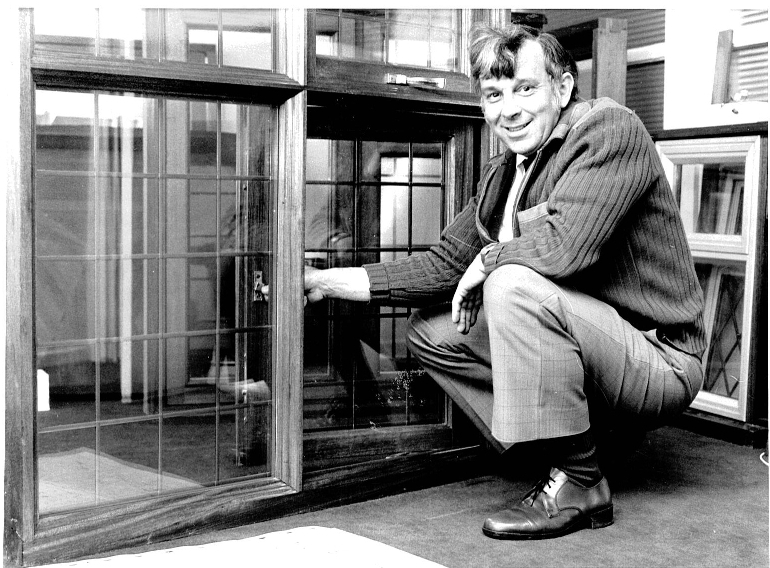 1986* saw the launch of Anglian’s White Knight PVCU window. This more than halved the U-value, taking it down to 2.7 W/m²K. Fantastic, you would’ve felt the benefit almost instantly and so would your boiler. Obviously, with an extra pane of glass, the amount of warmth from the sun entering your home drops, which dropped the G-value to 0.78 W/m²K. Over the next 10 years, modifications were relatively minor, tweaking the windows to improve the U-value further. 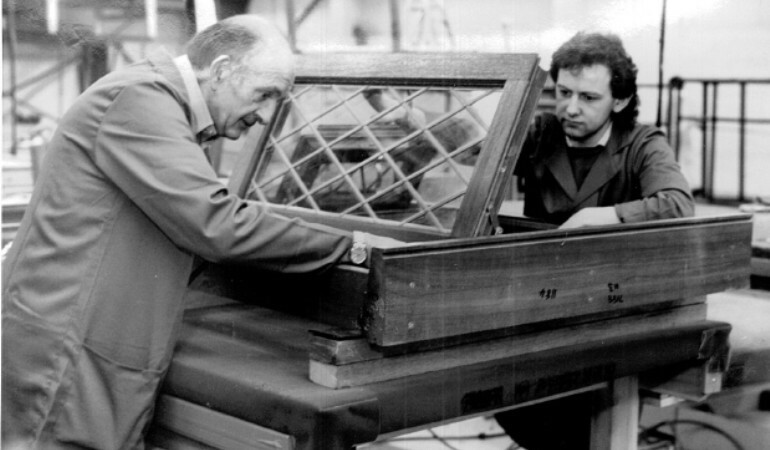 The double glazed sealed units were filled with inert gas from the end of 1992 onwards, which improved the U-value by 0.1W/m²K to 2.6W/m²K. Anglian changed the glass to a hard coat low-emissivity type in 2002, which showed the next biggest improvement in the last 10 years, with the U-value dropping to 1.5 W/m²K. Great news for all of those looking to decrease their bills. 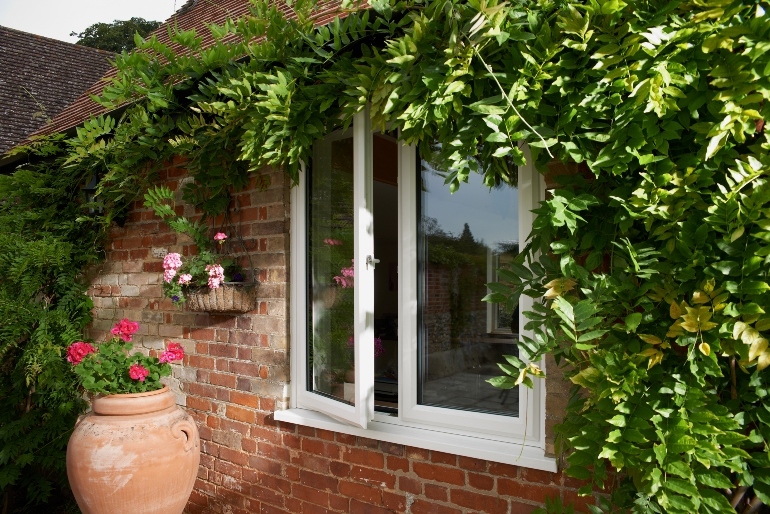 Lots of hard work and research improved the performance of the double glazing further by changing the hard coat to a soft coat, giving Anglian a A rated window. This lowered the U-value to 1.3 W/m²K, also lowering the G-value to 0.66. With a couple more tweaks the U-value was eventually lowered to 1.2 in 2006. The team at Anglian kept striving to improve their windows, as the demand for even more efficient windows rose as the country slipped into recession in 2010. Anglian managed to maintain the U-value, whilst increasing the G-value to 0.71 W/m²K giving them their A+ double glazed windows. They did a fantastic job of keeping heat in the home and harvesting the sun’s energy to help heat the room, creating an ideal window for the British climate. Energy bills continued to rise, and although double glazing was working a treat, there’s still a demand for windows that keep even more heat in. Anglian’s slogan is ‘Raising the Standard’ and they continued to do just that, introducing a whole new type of window to their range – Triple Glazing. A third pane of glass, retaining heat even better than double glazing, successfully lowering the U-value once again (to 0.8). So, this is the end of our brief history of Anglian windows and how they have improved from commonly having ice on the inside of the single glazing, to helping homes stay toasty and warm even during the coldest of months.